A thermal spa treatment specifically developed to preserve the youthful beauty of hands. Thermal Spa Water represents a rich and balanced formula which has a remineralising action which boosts the effectiveness of specific active ingredients that help reduce and counteract the appearance of dark spots on the skin. Rich and light, the formula protects against the pigmenting action of the sun's rays and leaves hands feeling soft and smooth. Used regularly, it visibly lightens existing spots and counteracts their formation. 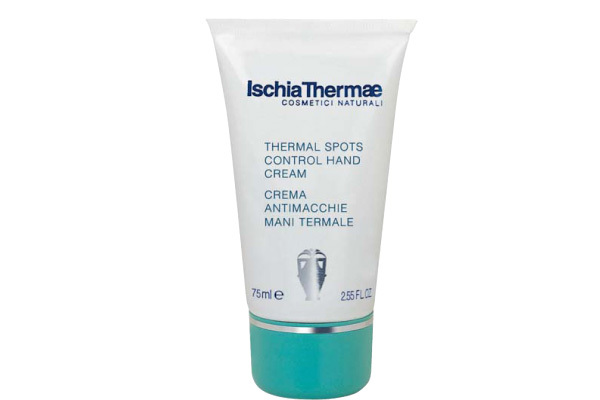 Apply the cream to dry hands, gently massaging from the fingertips to the wrists. Continue the massage on the backs of the hands and where dark spots are most visible. It should be used at least twice during the day.